Dr. Collette received her Doctorate of Veterinary Medicine degree at the University of Georgia in 2010 and stayed for an additional year to complete a one-year rotating internship in small animal medicine and surgery. After that, she completed a three-year residency in oncology at the University of California, Davis in June 2014. 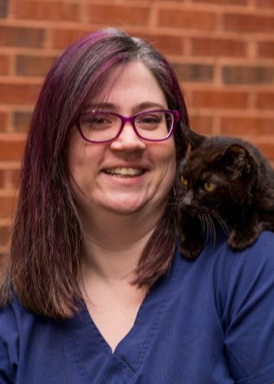 Now a board-certified veterinary oncologist, Dr. Collette joined the Upstate Vet team in September 2014. Her clinical interests include feline lymphoma, canine histiocytic sarcoma, lymphoma, and canine immunology. Outside of work, Dr. Collette enjoys relaxing, reading, movies, and spending time with her husband and two cats.